Google’s Maps app returned to the Apple app store this week after a forced depature two months ago. The search giant made the original map application for the iPhone but Apple introduced its own app in September. The Apple Maps app was flawed and highly criticized in the media as lacking some key features, such as labeling of businesses, street level photos and public transit information. Google says its new app was downloaded 10 million times in its first two day of availablity. 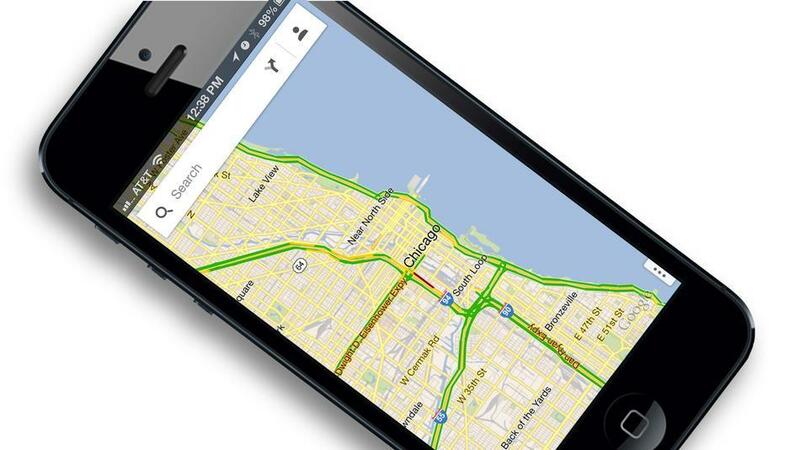 Reviews are saying the application is not only better than Apple Maps, but better than Google Maps for Android phones. The new app was designed specifically for the iPhone with a cleaner, simpler interface. Google executives said the company saw the need for an iPhone version as an opportuinity to rethink the app from the ground up. The new app was designed with two new ideas in mind: quickly moving across the map and removing clutter from the screen. Users can swipe horizontally or vertically to quickly jump among places or routes in the new app and labeling for buildings is now optional. Google executives said the project was so focused on simplicity that the build team was forced to abandon the usual Google Maps colors in favor of a new black and white color scheme. Despite the re-imagining, the Android version of Google Maps still has a few features the new app lacks. Android users can view maps of interiors of malls and airports, bicycling directions, and special offers from businesses. The Android app also offers offline maps. Google said these features may be added to the iPhone app over time. Apple officials say the Apple Maps app will remain bolted to the iPhone. The company is reportedly already improving its competing app.